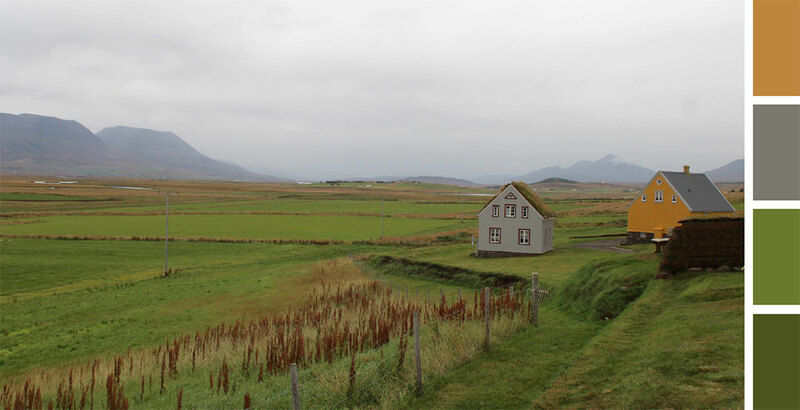 Iceland’s rugged landscape and moody waters inspire. It is a country of sharp contrasts where the landscape drastically changes every single hour you drive. As I watched out the car window, I was inspired by the colours and texture of the land. When we hiked up into the hills to hunt down a geothermal pool or stood below the defining crash of a waterfall, I was scheming about how to incorporate everything I saw into our home, my work and hobbies. When designing or renovating it is sometimes easy to get stuck deciding on a colour pallet. This is the moment I turn to my favourite photos or photobooks for inspiration. Today I look back on my honeymoon to Iceland. The iceburgs at Jökulsárlón (photo above) was my FAVOURITE stop of the whole trip. A large glacial lake on the edge of Vatnajökull National Park. 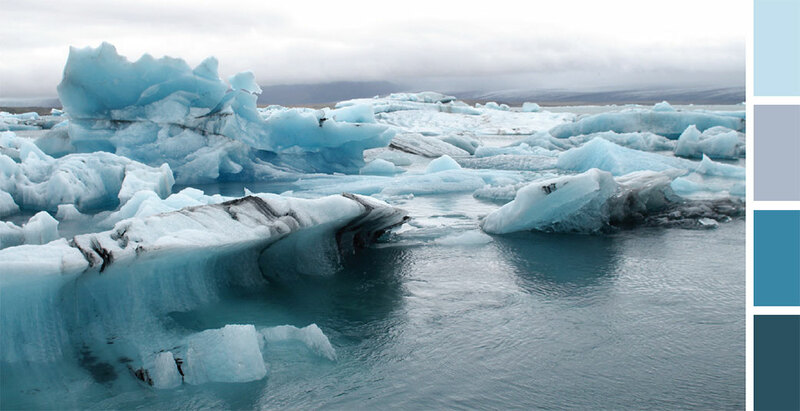 The variations of blue in the iceburgs and the moody grey of the sky is a perfect monochromatic colour scheme. How many thousands of years did it take to build this palette? The beaches of Vík (below) are about as moody as they come, made moodier by rain. But amongst the rain and black sand a sliver of olive emerges to brighten the palette, ever so slightly. 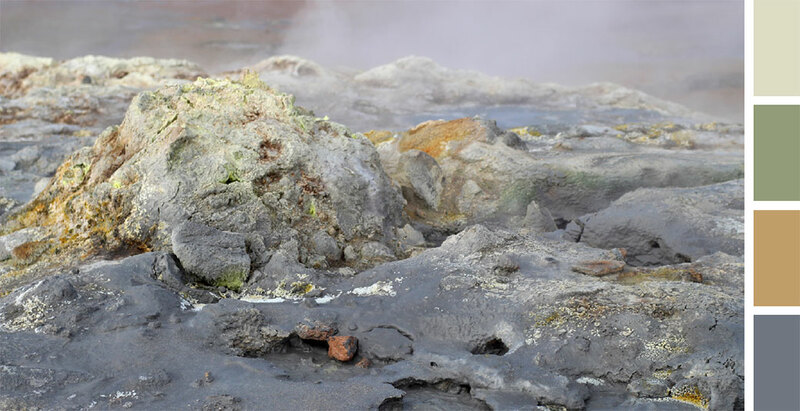 Bubbling mud at the Krafla Geothermal Power Station and Viking homesteads farmed thousands of years ago. I could go on and on and on… I find it hard not to be inspired by the textural landscape of Iceland, this Nordic land where fire and ice co-exist. Who knew mud could inspire? Find your colour inspiration in the places you go, pictures you take and things you see. You’ll find you’re happier with the colour of your new logo, wall or throw pillows knowing it is pulled from you’re favourite place.